Looking for a farmette with acreage, home, a pond, and a stream? If so, this 89.66 +/- acre property awaits you. The 3 bedroom, 2 bath home is a blank slate that you can make your own. New addition with a partial cathedral ceiliing. Some upgrades made. The property offers both wooded and field areas. Fruit trees on the property. A small pole barn that can be used for livestock or storage. Great hunting spots. 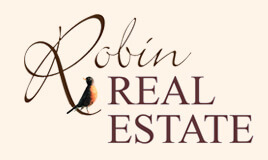 One of the owners is a licensed real estate agent in PA.